It’s a sign of the times. I believe we not only have a new generation of kids today, we have a new generation of parents. I am one of them. This new generation of parents started with the Tylenol scare in 1982. During the rest of that decade, parents prioritized the safety and future of our children. That’s the good news. The bad news is—we didn’t know where to draw the line. We’ve wrapped them in cotton. We love them. We fund them. We defend them. Often, they are our trophies. We want to protect them and perfect them. Most parents I meet want to be a good parent. At times, however, we can’t draw the line between mothering and smothering; fathering and bothering. It’s a sad commentary on the most educated generation of parents in U.S. history. But the real issue is not the education of us parents. Most of us have sound minds. Our problems are issues of the heart. While I am aware there are millions of healthy families across the U.S., most of us slip into habits that aren’t so healthy. I’ve spotted a handful of damaging parenting styles that have plagued our culture over the last decade. Let’s examine some of these styles and explore what we can do to correct them. Then, let’s look ahead as to what’s next. This type of parent was first called a “helicopter parent,” a term coined in 2002, as social scientists observed parents hovering over their kids, working to make sure they get every imaginable advantage. This parent style has been written up most widely in journals, but now it has been renamed as the “snowplow” parent. They are the parents who push, negotiate, intimidate and even manipulate others to ensure that doors open for their children, and that no negative incident affects their self-esteem or diminishes their chances at being accepted at an Ivy League school. Snowplow Parents are committed to helping their children make the grade, make the team, and make the money. 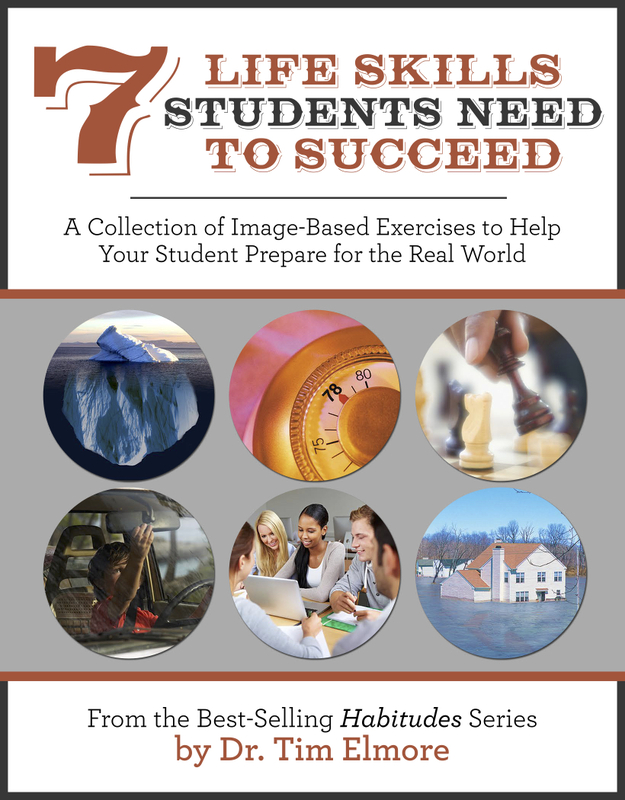 “Snowplow” parents create unfair environments and unrealistic scenarios that students must recover from when they enter the real world as adults. The Problem: They don’t allow their kids the privilege of learning to fail and persevere. The Issue: It is very possible parents can be “snowplows” because they possess a controlling spirit. Adults who struggle with being “out of control”—or who find it difficult to trust others to deal with those they hold precious—tend to be over-functioning and even micromanaging in style. They mean well—but they feel it is up to them to make sure life turns out well for the kids. These adults, quite frankly, must learn to trust the process. I face this issue from time to time myself. I am not in control, and one day my children will enter an adult world. I must prepare them for it. Control is a myth—and the sooner we acknowledge that fact the better we’ll act as parents. We must switch our focus from “controlling the circumstances” to “connecting with the kids” and equipping them. Like the karaoke bar, where you can grab a microphone and sing like Neil Diamond did in the 1970s, these parents want to look and sound like their kids. They want to dress like their child, talk like their child, even be cool like their child. They hunger to be a “buddy” to their kids and emulate this younger generation. They somehow hope to stay “cool” and “hip” so they can relate to their children all through their young adult years. They don’t like the thought of being out of style—and they work to maintain an image. Sadly, these karaoke parents don’t offer their kids the boundaries and authority they desperately need. Last month, I read about a mother who allowed her daughter to have a house full of friends over—all minors—then allowed them to drink alcohol, and even bought it for the kids. Several got completely inebriated, and they damaged the house and neighborhood. The police were called, and a colossal mess had to be cleaned up. The reason? Mom reported she wanted her daughter to feel like she trusted her. 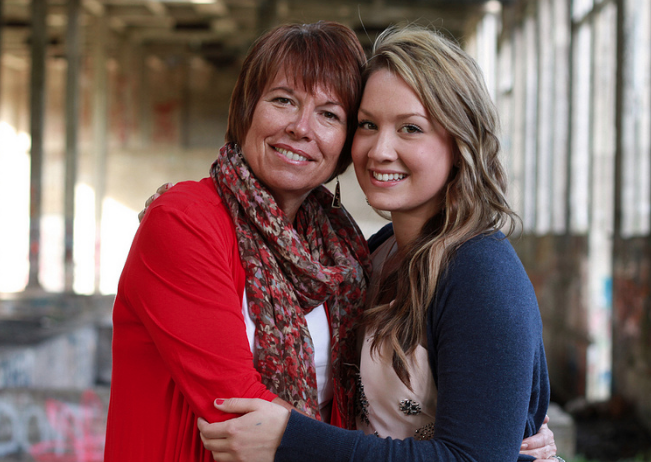 Mom didn’t want to be disliked by her daughter, and she was willing to take big risks to accomplish that goal. The children of these adults often grow up needing a therapist at 28, angry at their impotent parent. The Problem: They don’t provide their kids the clear parameters that build security and esteem. The Issue: Frequently, parents and teachers become karaoke in their style because of their own emotional insecurities. Adults may have an extremely high I.Q., but if their E.Q. (Emotional Quotient) is low, smart people begin to do dumb things. These adults will rationalize why they do what they do, but in the end, the only remedy is for them to embrace their own age and stage in life and relate to the students in an appropriate manner. When I began teaching students in 1979, I related to them like an older brother. In the 1980s, I moved to the role of an uncle. Some years later, I remember moving to the role of a dad. I could be a father to the students I teach today. I must embrace who I am and give them what they need, not necessarily what they want. Kids don’t need us to be cool; they need us to be real. We take our wrinkled or soiled clothes to the dry cleaners to have them cleaned and pressed by professionals. It’s so handy to drop them off and have them handed back to us looking like new. These “dry cleaner” parents don’t feel equipped to raise their kids, so they drop them off for experts to fix them. Although the home environment has spoiled or damaged their child’s character, they hope a school, or counselor or church youth group can fix them. Sadly, these parents forget that none of us are “pros” at raising kids. It is a learning experience for all of us, but we must recognize it is our most important task. Yesterday, I met a preschool teacher who reported that the mothers of her young students are all stay-at-home moms, but they drop their kids off (with a tennis racket in their hand) because they aren’t ready for the responsibility of caring for their child all day and night. They leave them at the preschool for eight hours each day. The Problem: Dry Cleaner parents don’t furnish their kids the mentoring and authentic face-to-face time they require. The Issue: For some of these parents—connecting with kids is just not their specialty. They may be dealing with an identity issue. Or, perhaps they don’t feel adequate for the task. Sadly, this parent has kids staring them in the face when they get home. It’s time for these parents to be what they need to be for their children. Sadly, it often seems like it is too much work for them to connect with their kids. Consequently, they hide behind the fact that they are busy with so many other priorities—even work—which enables them to pay for their child’s interests. These parents need to run toward the very challenge in which they feel they’re weak. Relationships make it all happen. Parents must build bridges of relationship that can bear the weight of truth. These parents can burst into a rage—like the Incredible Hulk—if they are backed into a corner. They erupt like a volcano. Why? Life has not turned out as they planned. They’ll write papers for their children, do homework, apply for jobs or colleges—just like the snowplow parent—but for a different reason. They do the work for their kids, attempting to live out their unlived life through their child. These parents can be seen on Little League fields, in theatre programs or in a principal’s office. When their child does poorly—they erupt. Why? It’s a bad reflection on them. They want so much for their child to make it, because that kid is their last hope of leaving some sort of name or legacy for themselves. They have unrealized dreams or baggage inside that they never dealt with in a healthy way. Sadly, they don’t provide the healthy model or environment young people long for. The Problem: These parents have unrealized dreams from their past—at times an unhealthy past. The Issue: The child represents the best way for the adult parent or teacher to accomplish the dream they gave up on years earlier, even if it is vicariously done. Their behavior is often the result of baggage from their past. The best step this adult can take is self-care. They must address their own emotional health; deal with their own issues, so they don’t’ further damage a child in their wake. Children have a much better chance of growing up if their parents have done so first. The best way we can help kids become healthy leaders is to model it for them. Worldwide, social scientists are now measuring the newest population of kids, Generation Z. They are growing up in an entirely different world than the one I did. Most of these kids don’t remember a day without social media; they learn about the September 11th terrorist attacks as a story from history; they don’t need adults to get information, and they experience the same level of anxiety as a psychiatric patient did in the 1950s. They intuitively recognize today’s new realities better than their parents do. I believe this world has sparked two new types of parenting styles. I examined both of them in a detailed bonus video. Just fill out the form below to watch. 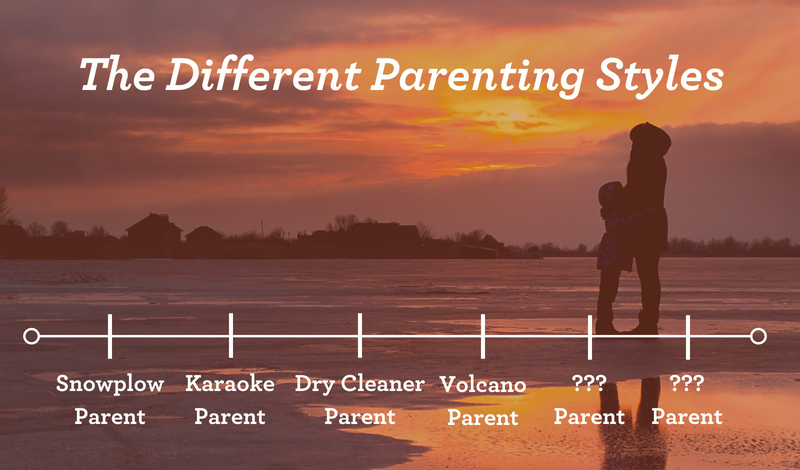 Find out which type of parent you are after checking out the two new parenting styles. Discover the differences between them and some practical application for you as a parent in a follow-up video. Fill out the form below to access the final two parenting styles and watch the free bonus video.